With almost one month before its official debut at the Geneva Motor Show, BMW has unveiled the first details on the first generation M6. 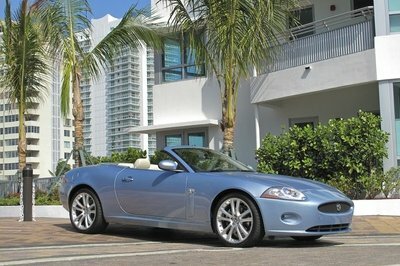 The Convertible version will be the first to arrive on the US market, with sale to begin in June 2012. The new generation M6 Convertible will be distinguished by a more powerful and sportier appearance, thanks to its special M design cues elements: a newly designed M kidney grille featuring an "M6" badge, larger air dam and lower bumper and a new set of 19-inch M light-alloy wheels. The interior gets a newly developed M sports seats, Merino extended leather upholstery, door sills with "M6" lettering, an M driver’s footrest and exclusive carbon fiber interior trim. 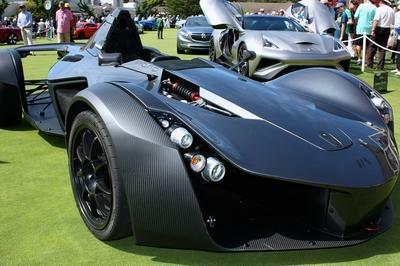 The car’s roof is made from natural color Carbon Fiber Composite and comes painted ina dark color. It can be operated at speeds of up to 25 mph and takes 19 seconds to open and 24 seconds to close again. 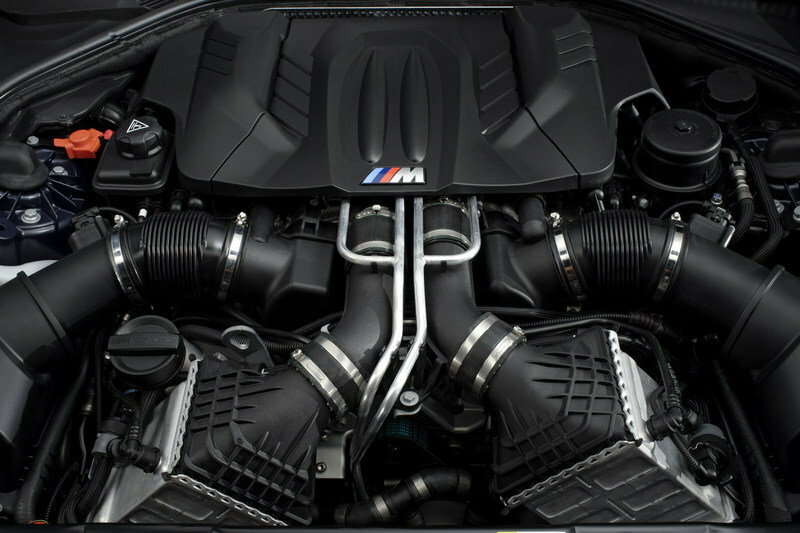 In terms of power, BMW has opted to transfer the turbocharged 4.4 liter V8 - first used in the M5 - over to the M6. This engine will deliver a total of 560 HP (a 5 HP over the previous generation) and a peak torque of 500 lbs-ft. The engine will be mated to a a newly developed 7-speed double-clutch transmission and will sprint the car from 0 to 60 mph in 4.3 seconds, while top speed is limited to 155 mph. 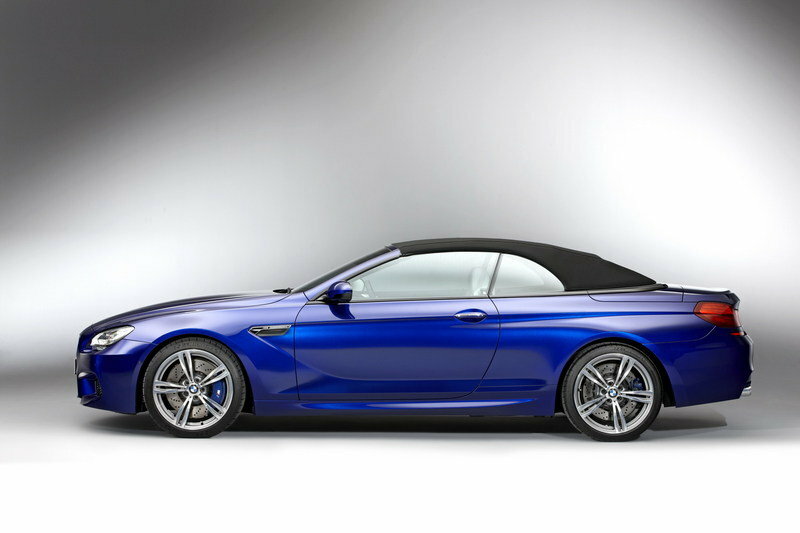 UPDATE 04/19/2012: BMW USA has placed online the configurator for the M6 Convertible. This gives you the possibility to customize the sports convertible the way you like it: you can choose the exterior and the interior colors, the wheels and of course the optional packages. 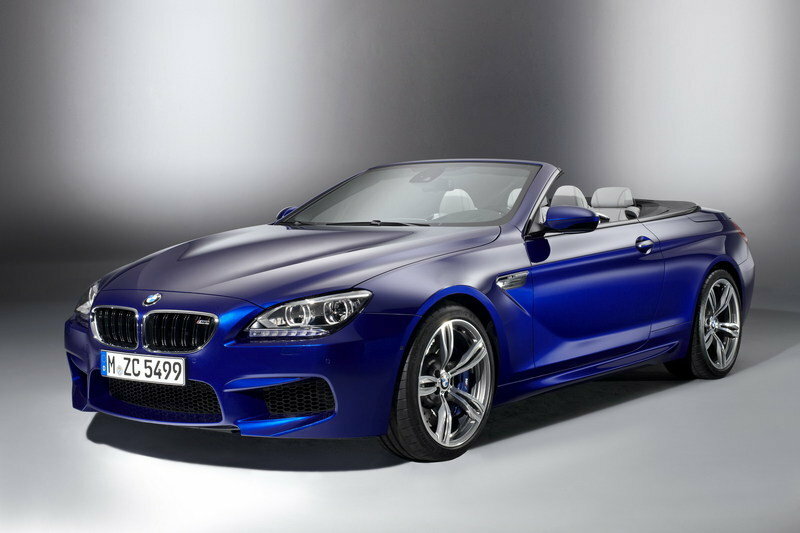 UPDATE 06/04/2012: BMW USA has unveiled a new video featuring their latest M6 coupe and convertible models. "BMW M has always been the model of driving performance. 40 years of work has led to the all-new BMW M6 Coupe and M6 Convertible. Generating 560 HP and 500 lb. ft. of torque, these vehicles provide the most distilled driving performance ever and set a new standard for BMW M." Enjoy! BMW M6 CSL - why not? The new M6 has received a powerfully taut surfaces and precise contours that further distinguish it from the other 6-Series models. Up front you will immediately recognize the newly designed M kidney grille, which bears an "M6" badge – an homage to the first generation M6. The grille’s black, paired kidney grille slats take their cues from the characteristic double-spoke design of the M light-alloy wheels. The car has also increased by 1.2 inches in track width and gets by powerfully flared front wheel arches, which sit flush with the wheels. The three-dimensional shaping of their air intakes and race-inspired flaps designed to control airflow to the outer air intakes also underlines the cars’ forward-surging, dynamic character. The side profile is streamlined and slick as you’d expect. The three-dimensional front fenders feature familiar M gills, wide chrome frames and indicator bars with the M logo. Next you will notice some wider wheel arches and of course the 19-inch M light-alloy wheels in seven double-spokes in a two-tone finish. As an option you can also get 20-inch M light-alloy wheels in five slender double-spokes. At the rear there are L-shaped rear lights and reflectors positioned immediately below them and of course the familiar M quad exhaust tailpipes positioned on either side of the diffuser integrated into the lower area of the rear fascia. The Convertible’s roof will be made from natural color Carbon Fiber Composite. it comes painted in dark color in order to offer a better contrast with the rest of the body. BMW has opted for this lightweight material in order to lower the car’s center of gravity. The roof can be operated at speeds of up to 25 mph and takes 19 seconds to open and 24 seconds to close again. 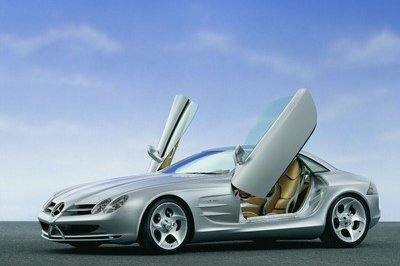 The heated, vertical glass rear window, which is situated just behind the rear seats, retracts independently of the soft-top itself. The M6’s interior gets newly developed M sports seats, Merino extended leather upholstery, door sills with "M6" lettering, an M driver’s footrest, exclusive carbon fiber interior trim and the BMW Individual roof liner in Anthracite and an iDrive control system with a 10.2-inch Control Display. The wheel has been equipped two M Drive buttons which can be used to call up a pre-configured setup for the car. For example, the driver can save a sporty configuration on the "M1" button and a track focused setup (with all driver aids shut off) on the "M2" button. The set-up selected will remain activated until it is either cancelled by pressing the button again or the driver switches to another M Drive setting. Once the system has been switched off – as when the engine is started – it reverts back to a default configuration focusing on efficiency and ride comfort. For the current generation M6 BMW has dropped the car’s usual V10 engine in favor of a new 4.4 liter V8 engine first used in the M5. The engine is equipped with M TwinPower Turbo Technology and in the M6 the engine delivers a total of 560 HP at 5,750 – 7,000 rpm (versus 555 hp at 6,000 rpm for the previous generation) and a maximum torque of 500 lb-ft tap between 1,500 and 5,750 rpm (versus 500 lb-ft from 1,500 to 5650 rpm). The engine is mated to a a newly developed 7-speed double-clutch transmission designed to handle the high torque and high revving nature of the engine. With the extra power the engine will sprint the car from 0 to 60 mph in just 4.3 seconds, while unfortunately top speed is limited to 155 mph. While the engine’s output has increased by around 10% and maximum torque is up by more than 30%, the new BMW M6 models consume roughly 30% less fuel and have substantially higher range than their predecessors. However, official numbers will be announced at a later date. The engine has been equipped an Active M Differential that helps the car working with high precision and speed. Its control unit is connected with the Dynamic Stability Control (DSC) system via FlexRay high-speed data transfer technology and constantly cross-checks the data collected by its sensors with the feedback from DSC. It then uses this information to calculate the locking force required to deliver optimum traction and stability. The data recorded by DSC sensors is also passed on if the stability control system is in MDM mode or is switched off. The locking force within the differential can be varied continuously between 0 and 100%. The ABS system retains full functionality in all situations. 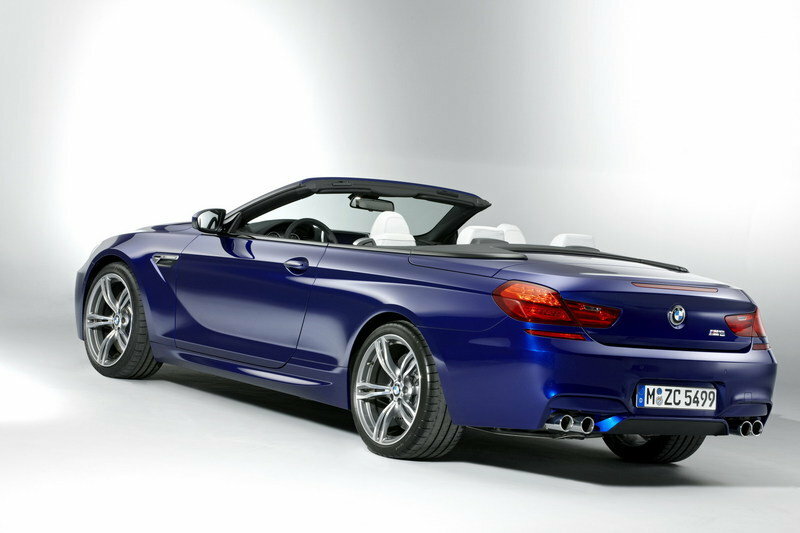 The BMW M6 Convertible will be the first of the three new M cars to arrive in US BMW Center showrooms. It will go on sale in June 2012 and will be priced at $113,995 (including $895 Destination and Handling). When it comes about competition the Porsche 911 Turbo Convertible is the most obvious one, but models like Audi R8 Convertible of Jaguar XKR will also put the car in lots of trouble. The 911 Turbo Convertible hasn’t made its official debut just yet, but it will be powered by a 3.8L turbocharged flat six engine that will deliver up to 530 HP in the S version. The R8 Spyder is powered by a 5.2 Liter FSI V10 engine with 525 HP. The XK-R is powered by a V8 engine with 510 HP. Every part of its exterior throws a really strong vibe of force. You can say that this truly goes after a record-holding achievement for style and power. What it sports definitely gives off a very powerful aura. I’m really loving its electric look. Because of that, it seems flashier. The interior isn’t something to be overlooked too. I’m totally smitten with this car’s exterior look! Not only that, it’s equipped amazingly too. If there’s any con to this car, it must be the top speed limiter but not risky and careful drivers like me would be totally fine with that. The video was nice. It gives more clarity than the image. The performance was great and has the ability to excel more than we are ought to believe. The interior was fascinating and very bold. The list of its equipment was quite impressive. The maximum speed was awesome at hundred and fifty-five miles an hour. Just as I’m expecting from a BMW. Cool modern design and not overrated. Good interior job and a nice powerful V8 engine. What a great looking car! BMW don’t fail to surprised their customers with their great automobile. I adore its awesome platform that looks very striking with its sleek body paint. What a great look! This could be more powerful than competition. It’s nice to know that this has an impressive equipment list which showcases the best production of a car. I’m pretty sure that this is enjoyable to ride on . I’m amazed with this model. It’s very stylish as well as the body paint of it. 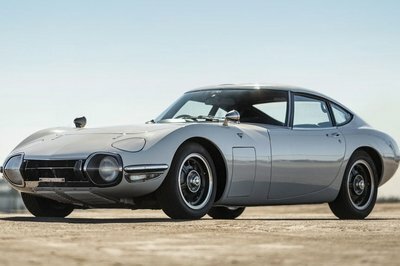 I’m sure this will be a top list of coolest cars. Does it really have that design? Don’t you guys think that it is ugly? Well, that is only my opinion. I want it more when it is simple and painted on black. I love the design. Looks so elegant and astonishing. I think this one is so expensive. From the headlight up to the back light; looks so luxurious. Oh! What a new innovation. Their designs are getting bigger and bolder. They make sure that people would be aware with their great concepts. Nice model. Wow! Finally! I am so excited about the Detroit Auto Show! Specially now that BMW cars are there. 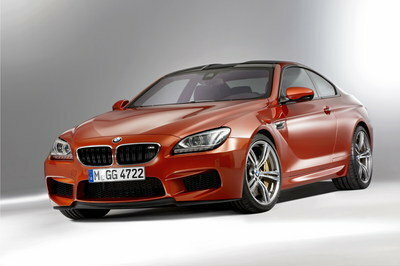 And I will wait for the debut of BMW M6 Convertible. What a stunning car! Yeah! It really looks stunning on its gray paint and just like them, I feel so excited also with the official outlook of this BMW M6, and I’m truly hoping that it would have an interesting feature on its interior. V6 engine that can deliver 600 horsepower is quite impressive for this kind of car but is that the final outlook of this M6 convertible? If it is, I don’t think that was a good idea, I found it lousy on that. It’s the BMW Convertible again.. They’re really making a big marketing advertisment regarding with their new innovation.. They really make sure that people would be aware that they are on their way now to explore new creations..